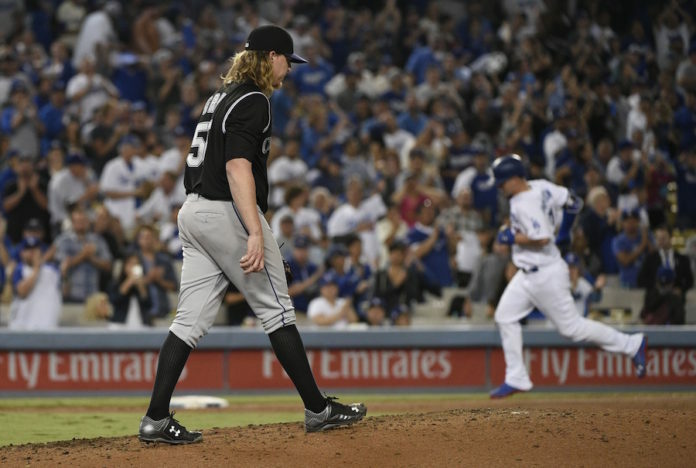 Gray's 10 strikeouts and Arenado's 40th home run not enough in L.A.
Gray’s 10 strikeouts and Arenado’s 40th home run not enough in L.A.
Jon Gray allowed only three hits Friday night against the Dodgers while striking out 10. That only tells half the story, though. 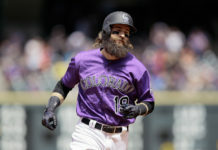 All three hits Gray surrendered were run-scoring and the Rockies right-hander needed 106 pitches to complete four innings in a 5-2 loss in Los Angeles. 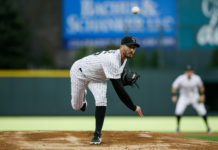 After loading the bases in the first inning without making the Dodgers swing the bat, Gray allowed a two-run single to Yasmani Grandal to put Colorado in an early hole. In the fourth, Gray allowed back-to-back solo home runs to Joc Pederson and Andre Ethier to stretch the Los Angeles lead to four runs. Nolan Arenado hit his NL-leading 40th home run, a solo shot in the sixth inning. D.J. LeMahieu failed to reach base for the first time in 38 games, ending his career-best streak. LeMahieu remains atop the NL batting crown race with a .349 average.